Lindsay's favorite non-alcoholic beverage is alcoholic! Lady Gaga shocks another sports stadium. Snooki throws a drink. Good Morning America has a gay kiss double-standard. "Kidnapped" Jeremy London's story keeps getting dumber. Saturday's Gossip Roundup is advancing to the next round. When you're in Whole Foods tomorrow to pick up your organic free-range sustainable humanely slaughtered coconut chicken skewers, you might see some people staring forlornly at an empty shelf. Why? 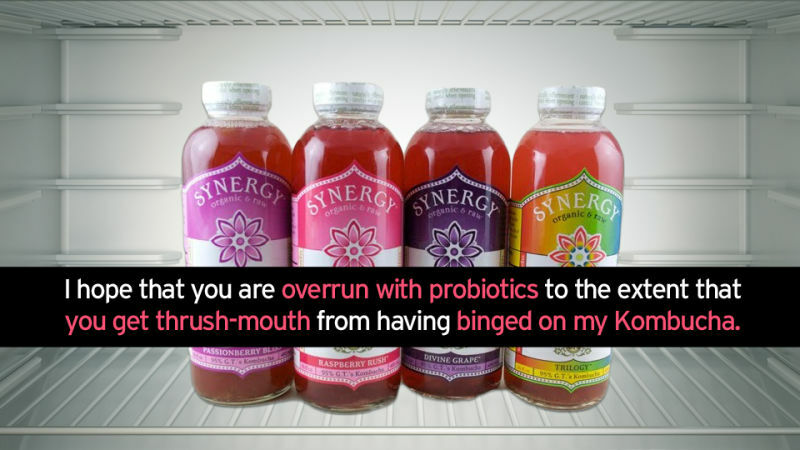 The kombucha's gone! Oh, overpriced fermented tea. Where'd you go?